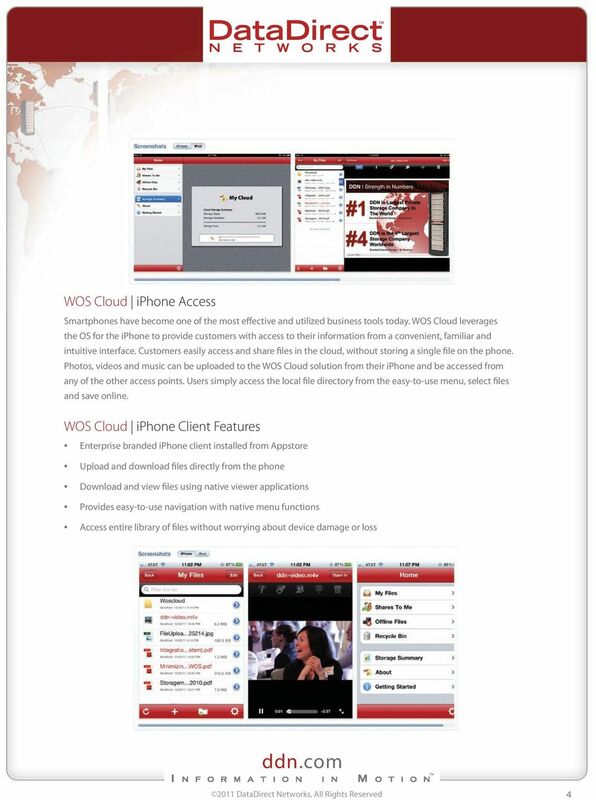 Download "WOS Cloud. ddn.com. Personal Storage for the Enterprise. 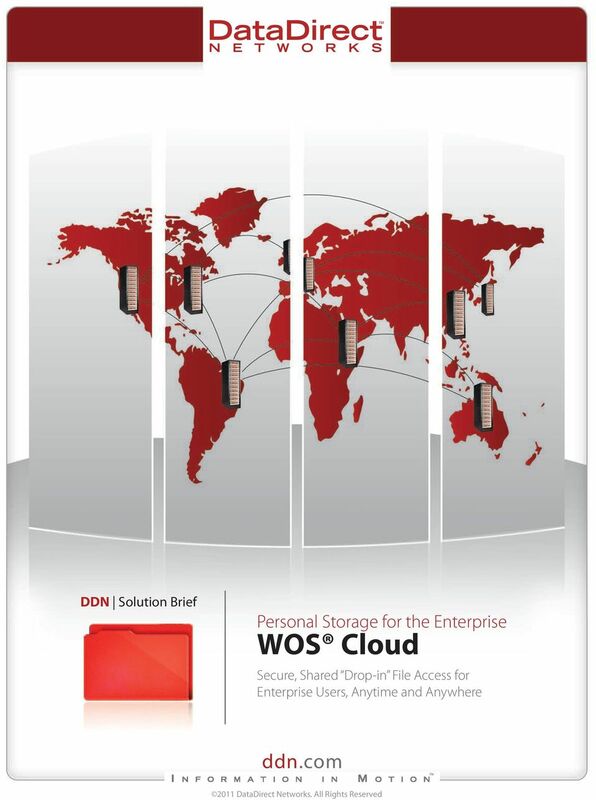 DDN Solution Brief"
WOS for Research. ddn.com. 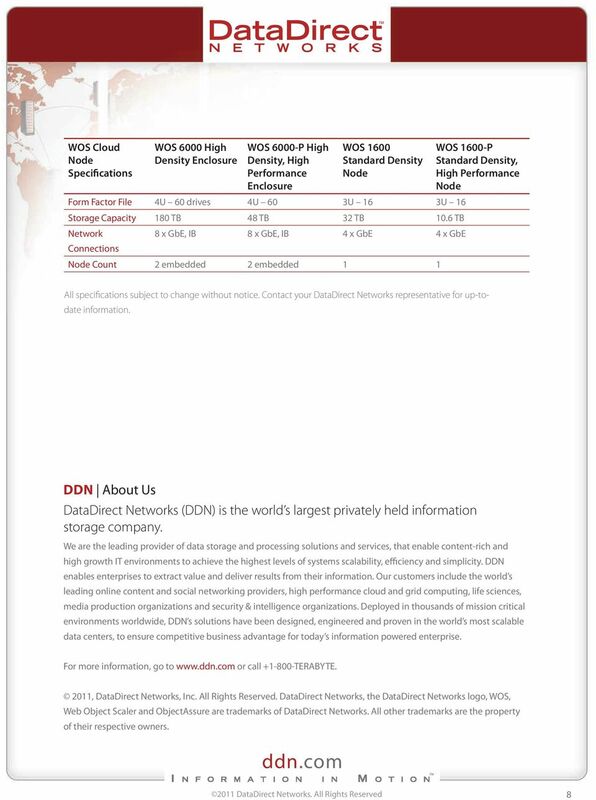 DDN Whitepaper. Utilizing irods to manage collaborative research. 2012 DataDirect Networks. All Rights Reserved. 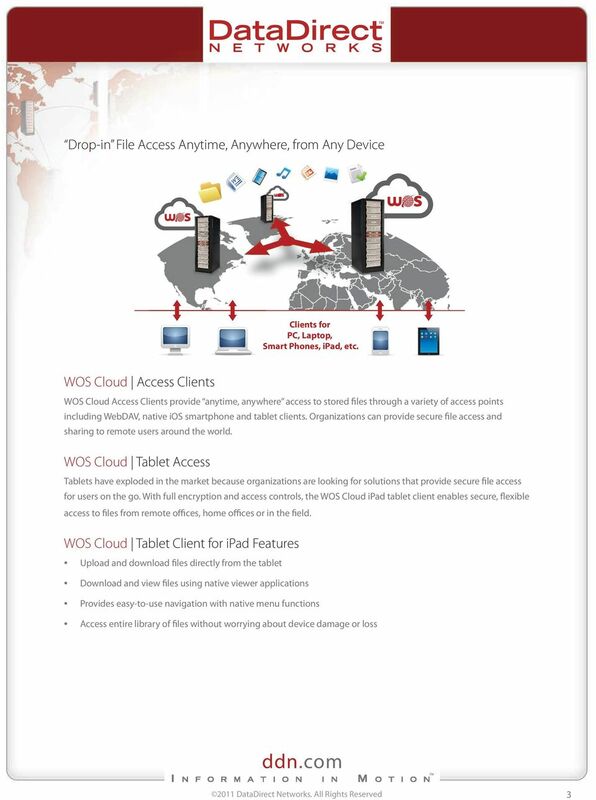 Geospatial Imaging Cloud Storage Capturing the World at Scale with WOS TM. ddn.com. DDN Whitepaper. 2011 DataDirect Networks. All Rights Reserved. 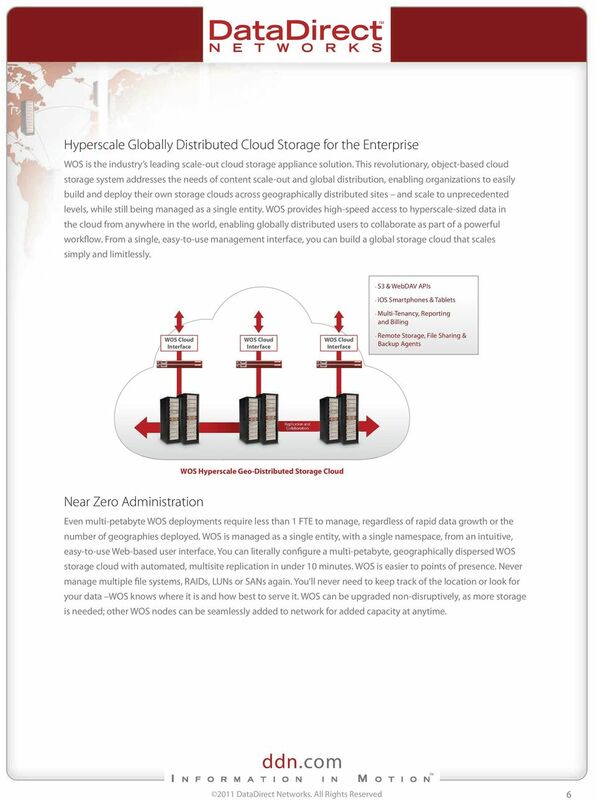 HiDrive Intelligent online storage for private and business users. 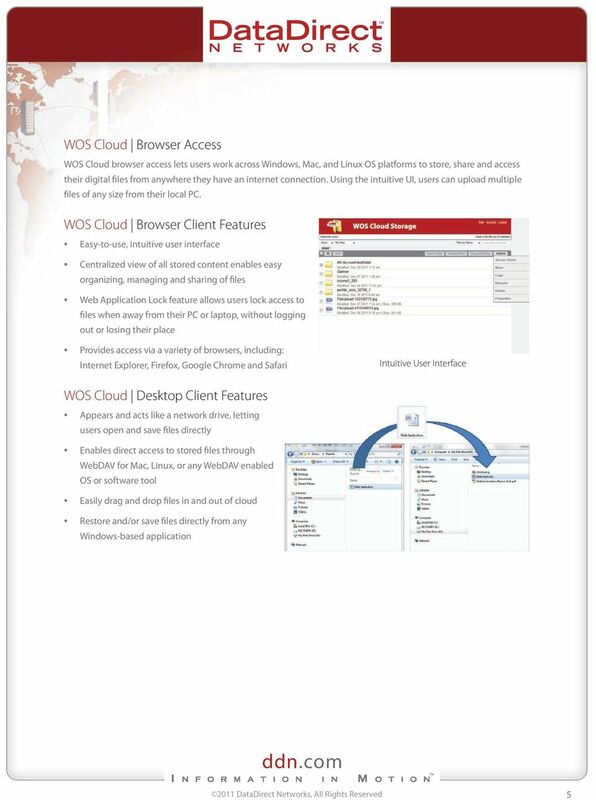 Media Workflows Nice Shoes operates a 24x7 highly collaborative environment and needed to enable users to work in real-time. ddn.com. DDN Case Study Accelerating > Media Workflows Nice Shoes operates a 24x7 highly collaborative environment and needed to enable users to work in real-time. 2012 DataDirect Networks. All Rights Reserved. 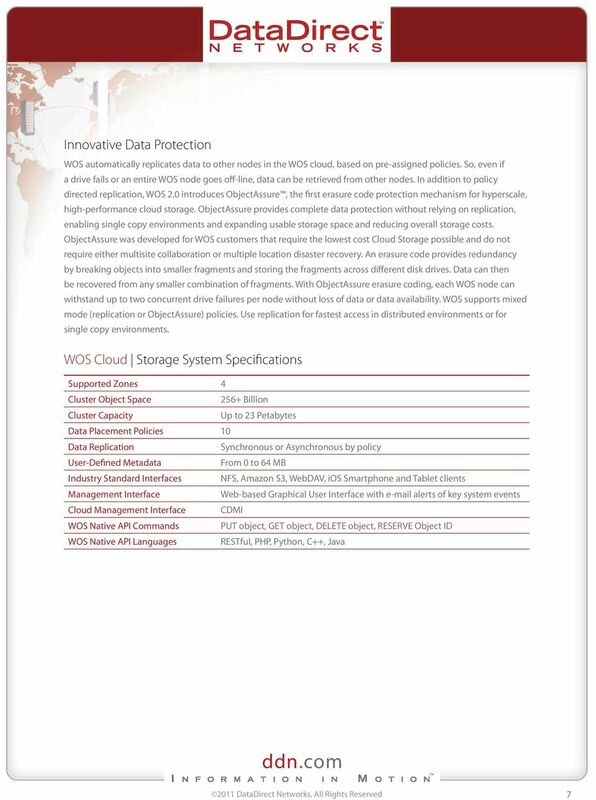 Today we continue to deliver high-performance hardware and easy-to-use software solutions that protect the world s data. WHITEPAPER ANY THREAT, ANYWHERE, ANYTIME Scalable.Infrastructure.to.Enable.the.Warfi.ghter THE BIG DATA CHALLENGE AND OPPORTUNITY The.proliferation,.management.and.analysis.of.intelligence.data.is.a.fast.growing.concern. Back it up. Get it back. 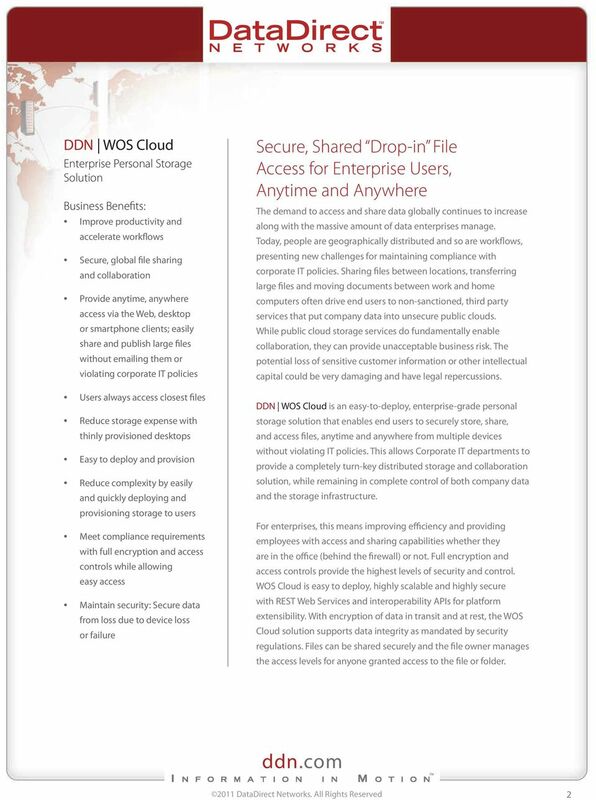 Simple.Secure.Affordable. SureDrop Secure collaboration. Without compromise.